Can I list Official Restroom Expert on my Resume? February 1, 2012 February 1, 2012 Categories Faith, Family, Funny, RestroomsAmplified Bible, Bathroom, Christian, Christianity, Faith, Family, funny, God, Gratitude, Holy Spirit, http://www.scottoverpeck.com/coffee-shop-restrooms-and-your-online-presence/, Jesus, Matthew 6, mom, Public toilet, Toilet2 Comments on Can I list Official Restroom Expert on my Resume? I am a self-proclaimed restroom expert. Actually you could probably ask anyone who knows me and they’ll tell you I am truly an official authority on all things restroom related. The way I see it, if you are going to be a subject matter expert it might as well be a useful subject. And believe me, restrooms are of the greatest importance. In fact, I am never more than 100 yards from a fully functional bathroom facility and I log/evaluate every one. 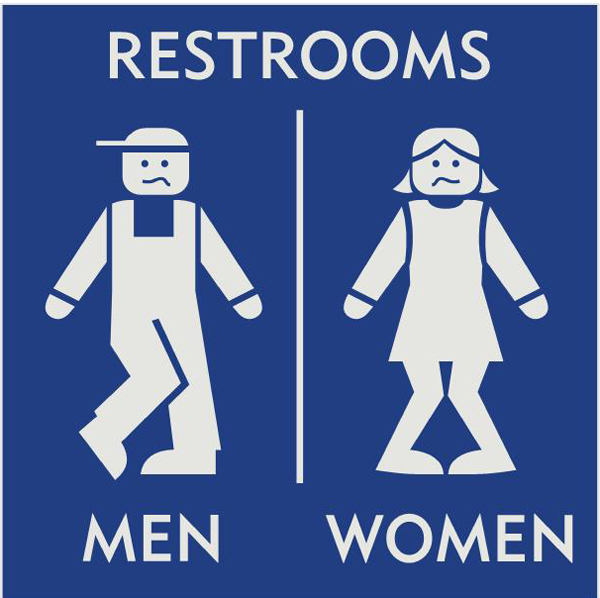 Now that we’ve cleared that up, there are also several levels of bathroom appropriateness. Obviously you have your typical gas station model that should only be used in cases of dire emergencies and only after the appropriate sanitation steps have been taken. That is, of course, if nature allows for those steps to take place prior to an unfortunate puddle appearing on floor. If nature is being quite demanding, it is acceptable to hover, pray your knees don’t buckle and then coat yourself in hand sanitizer as you run out the door. 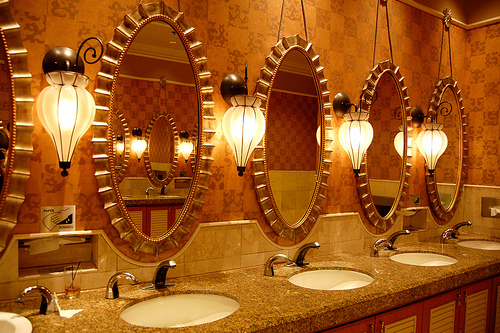 When traveling, another convenient tip is to have a “restroom finder” on your mobile phone. Yes they make these. If you’re with me there’s no need. However, since you’re more likely to be traveling without an official expert you should download one of these right away. 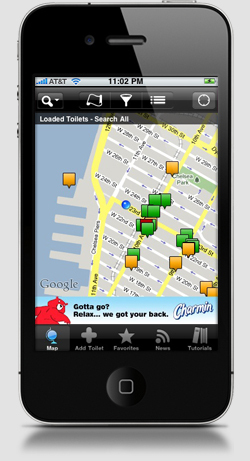 This app will tell you where the restrooms are along all interstates, major highways and in metropolitan areas. I happen to have my own mobile app complete with rating system so the bathrooms have directions, toilet paper ratings, assessments of overall cleanliness and comments on the presence of any special amenities like real towels, benches, seasonal scents, flowers etc. 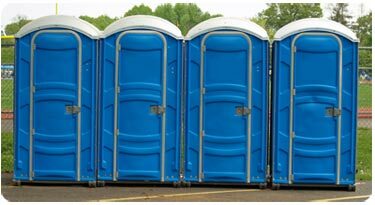 Now I can also tell you that every fair, festival, show, or athletic event has a real bathroom somewhere and it’s imperative that you scout out its location as soon as you arrive. Many will tell you the portable pee pee prisons are all they have but that’s a lie. They are there. And diligence in locating them will give you peace of mind when the time comes. I personally know where there is a restroom along the local Christmas parade route (I plan our viewing area accordingly). I also know where they are in my favorite vacation spots, shopping malls, airports and grocery stores. My sweet hubby keeps a mental list himself as he has waited many times for me outside coffee shops, diners, hotels, and other businesses. In all fairness, I was actually considering buying the pink ceramic cow’s head when I went in that art gallery to use their very well-appointed facilities. Which leads me to my next point, I have been known to burst out in song and praise when a business has a top quality restroom. I think these folks deserve a giant gold star. For instance, there’s this nondescript gas station off I-95 near Savannah, Georgia. Doesn’t look like anything special from the outside. 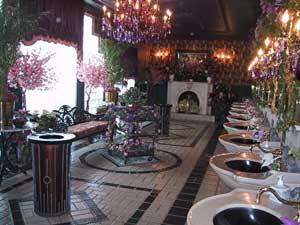 But when you walk in the bathroom, you swear you’ve stepped into the spa at the Ritz Carlton. It’s so nice that I hugged the little manager lady behind the counter as I left with tears in my eyes. I had no idea how high maintenance I was in this area until I recently talked with a friend who camps in the woods with no facilities. Um, yea. I said camping and NO FACILITIES. When I explained my idea of roughing it was a gas station bathroom, she nearly hit the floor laughing. Hey, there are certain things I just won’t live without and indoor plumbing is one of them. And yes, I have been known to pray for a bathroom to be nearby if I find myself in the midst of a “situation”. Countless times, as I am asking God to lead me to a restroom, preferably meeting the expectations on my basic requirements list, I’ll see one. I’m telling you (in my most southern voice); it’s like a beacon in the night! Like sweet tea in a mason jar! I always thank Him for providing for my silly little need. I’m sure He is laughing at my list too. But my ranking system will be useful one day! Just wait and see. God knows your ever need too and He cares for you. Asking Him to provide for your needs is as simple as saying the words and trusting Him to do it. But if you need a restroom recommendation, let me know! Your skill would have been useful in December when my family and I were walking the city streets in Nashville. Signs in every window proclaimed “no public restrooms”. We finally found an ice cream parlor and decided that having to purchase ice cream for access to a restroom was a pretty good deal!